For 26 years, the Professional BusinessWomen of California’s Annual Conference has brought together women from all over the Bay Area and beyond to celebrate the collective power of women in the workplace. 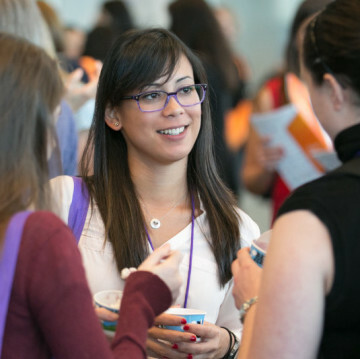 The conference line-up features inspiring speakers, interactive learning, and purposeful networking to help women achieve their ambitions both personally and professionally. The PBWC Conference boasts over 30 inspiring speakers, 20 seminar sessions, and invaluable networking opportunities with the expected audience of more than 5,000 businesswomen and men. Soledad O’Brien is the recipient of three Emmy awards, two Peabody awards, and the NAACP President’s Award. She is one of Newsweek’s “10 People Who Make America Great,” People’s “50 Most Beautiful People,” and the National Association of Black Journalists’ “Journalist of the Year”. Nobel Peace Laureate Leymah Gbowee is a Liberian peace activist, trained social worker and women’s rights advocate. Leymah led the 2003 Women of Liberia Mass Action for Peace, chronicled in her memoir, Mighty Be Our Powers, and in the award-winning documentary, Pray the Devil Back to Hell. Carolyn Buck Luce is a gifted strategist and teacher who has spent her career building highly effective businesses and teams. She has been a leader concurrently in both the private and public/non-profit sectors for the last four decades. PBWC Founder and Congresswoman Jackie Speier serves on the Committee on Oversight and Government Reform and formerly served as a California State Senator, where she authored groundbreaking legislation in health care, privacy, consumer protection, child welfare, education, and prison reform.